Global Korean food brand Bibigo has entered the international food market with the launch of a fast casual-type Korean food restaurant. Bibigo, a global Korean food restaurant from CJ Foodville (CEO Jung Moon-Mok), opened a store with a new style of operation at Seoul Square to test a model for entering the foreign market. 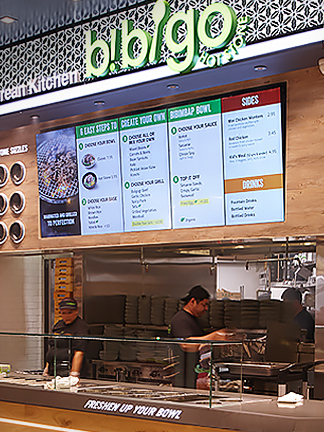 Fast casual is a new operation-style restaurant that combines a fast-food restaurant with a family restaurant style. It is growing rapidly in countries where the eating out culture has evolved, like the US and Europe. Food is served quickly after you order it, just like with fast food. Menus are simple, but the quality of food is high because food is cooked with such healthy ingredients. The price is higher than fast-food restaurants, but lower than fancy restaurants. You can eat food inside the restaurant or take it out. The new-type restaurant opened by Bibigo with a concept of fast casual is located on the first basement level of the Seoul Square building, and has about 90 seats. Seoul Square is a commercial sphere with the largest floating population. Located across from Seoul Station, the gateway to Seoul, it is in close proximity to KTX, Incheon International Airport Railway, and Seoul Station Transit Transfer Center, where subways and buses keep coming and going. Seoul Square, a multi-functional complex cultural space in combination with tourism and business, is famous for the setting of the popular TV drama Misaeng (Incomplete Life), attracting many domestic and foreign tourists, as well as the settled population. The menu of Bibigo Seoul Square is largely divided into three: Hot Stone, Grilled Plate and Meal Box. Hot Stone includes Beef Brisket Soybean Paste Stew & Hot Stone Rice; Seafood and Soft Tofu Stew & Hot Stone Rice; and Bibimbap. Grilled Plate features menus of rice, grill and side dish, and a bowl with them in is instantly served with broth. Menus of rice, including Multi-grain Rice and Rice with Seasoned Vegetables, vary every day. The grill menu consists of Grilled Pork with Seasoning, Korean Beef Haché with Grilled Pineapple, Grilled Spicy Chicken and Grilled Squid & Mushroom. 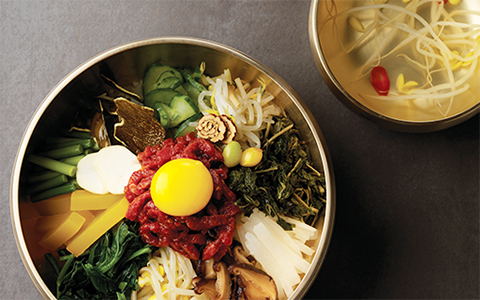 Five kinds of side dishes include Kimchi & Seafood Pancake, Seasoned Mungbean Jelly and Steamed Egg. Meal Box is marked by various assortments and prices: Assorted Side Dishes with Rice, Chicken & Kimchi Fried Rice and Grills. As for all menus except Meal Box, you can eat them inside or take it out. 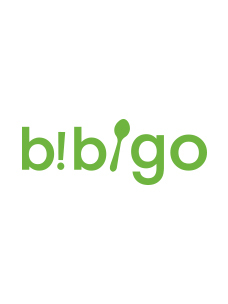 The Global Korean food brand Bibigo is the world’s leading Korean food brand and aims to have a total of 300 restaurants around the world by 2020. For this, it aims to build strong local models and expand strategies around China and the US. 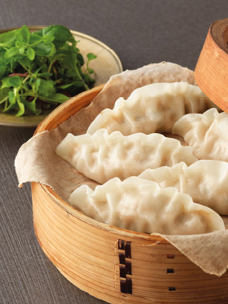 Bibigo, which is the top global brand of CJ Foodville, plans to complete the globalization of Korean home and restaurant food together with CJ CheilJedang. On Style leading the K-beauty trend in China!